The adage “You get what you pay for” is anything but new but it’s as relevant as ever. Marketplaces that were once strictly local, regional, or national have expanded to a massively interconnected business arena. It’s now easy to find your pick of products and suppliers from all around the world, and without much worry for the logistical end of receiving what you need. All this choice is convenient and it keeps prices competitive, but those advantages have come at a cost: traceability. You may think you’re buying from one recognizable, reputable company, but you may really be getting something from a third party source. Sometimes it’s near impossible to trace where many products originate, and that has allowed counterfeiters and bootleggers to thrive. What’s The Real Cost Of Counterfeit Goods? It’s a fairly well-known problem when it comes to B2C, mass-market goods like apparel, fashion accessories, jewelry, consumer electronics, and other luxury goods. Being a victim of unregulated quality may have you feeling foolish when you thought you were getting a good deal. But what happens if it also meant that your health or your life were at stake? 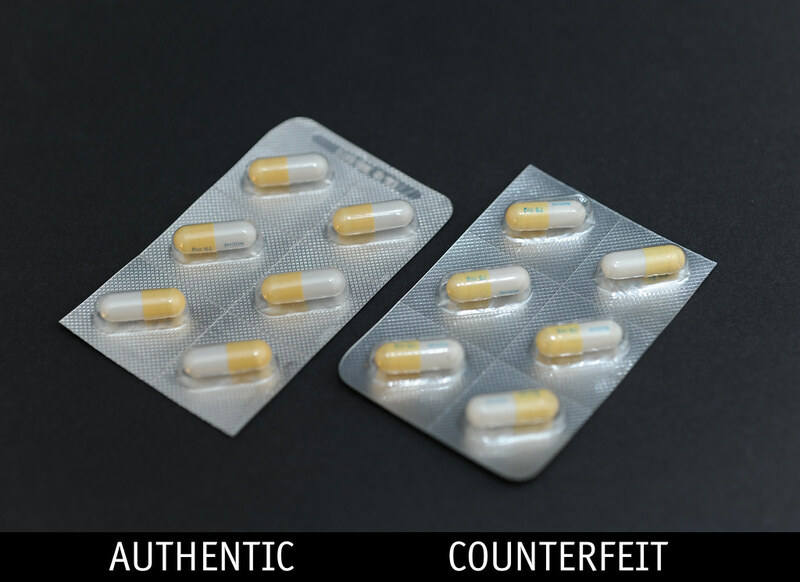 With products like prescription drugs, auto parts, and various metal components used in structural and equipment applications, counterfeiting can create untold hazards for unsuspecting consumers. In some cases, counterfeit products are dangerous because they contain additives and fillers that shouldn’t be there. There are plenty of examples of cosmetics, over-the-counter medicines, and dietary supplements that contain toxic amounts of heavy metals and harmful chemicals. These additives allow unethical manufacturers to keep prices at discount levels. With regulations that are lacking or nonexistent, the only real concern is making a product that’s marketable and easy to sell to unwary bargain hunters. This is remarkably easy to get away with as health problems that might occur from exposure aren’t always apparent. Even if they are, a lack of traceability leaves little recourse for victims. Counterfeit products and materials also affect B2B and industrial marketplaces. In such situations, these goods are problematic for what they lack. Various building materials like steel, copper, and aluminum are cheaply made, without the level of integrity that’s required for certain applications. In the manufacturing of discount alloys, testing procedures and quality signifiers are frequently misrepresented. How Can Do You Protect Yourself? Legislators and professional organizations are now feeling pressure to clamp down on unsavory counterfeiting practices, but with a global market that’s only growing, that’s not an easy thing to do. Right now, the best things consumers can do to protect themselves is to be wary of where and from whom they buy—even if they’re offering an amazing price. One of the most reliable ways to avoid counterfeit products is to avoid buying from third-party sources that cannot be easily contacted or traced. For example, if you need to buy spacing components, you’ll benefit from buying American made aluminum flat washers direct from the manufacturer rather than an unfamiliar seller you might find on Amazon or other global ecommerce source. Even if a product looks like the real thing and reviews are overwhelmingly positive, counterfeiters know how to fake branding and make online reputations appear organic when they are anything but. When the price doesn’t line up with the promise, it usually means there’s a lack of integrity somewhere. Finally, when you get the product you’ve ordered, if there’s any question about whether it’s the real thing or if something isn’t right in terms of quality, don’t take any risks when it comes to using it. It’s better to be safe and savvy than sorry, even if you don’t end up getting the savings you expected.